Heat oven to 350°F (325°F for dark or nonstick pan). Spray 9x5-inch loaf pan with cooking spray. 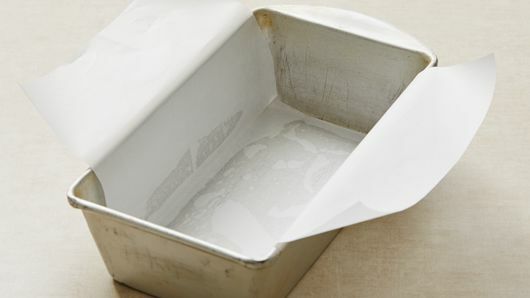 Line pan with parchment paper, allowing paper to hang 2 inches over long sides of pan. In small bowl, mix granulated sugar, poppy seed and lemon peel. In small microwavable bowl, microwave 3 tablespoons butter uncovered on High 20 to 25 seconds or until melted. Separate dough into 8 biscuits. Separate each biscuit into 2 layers. 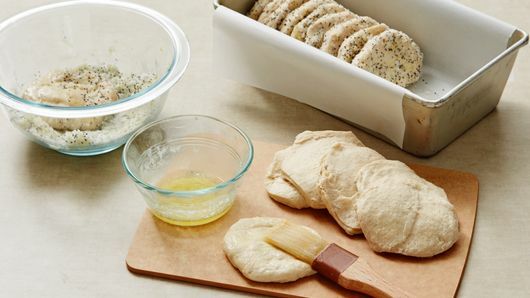 Brush both sides of each biscuit layer with melted butter, then dip into poppy seed mixture. Starting at one short end of pan, place biscuit layers on their edges, just touching each other, until pan is loosely filled. Sprinkle any remaining poppy seed mixture between biscuits. Bake 30 to 45 minutes or until golden brown. 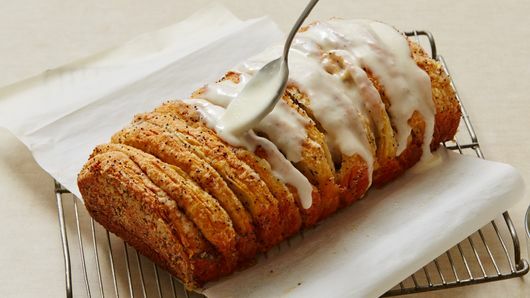 To prevent excess browning, loosely cover with Reynolds Wrap® Aluminum Foil, if necessary. Cool 10 minutes; remove from pan to cooling rack, using parchment paper as handles. Cool 10 minutes. Meanwhile, in small bowl, beat remaining 1 1/2 teaspoons butter, the cream cheese, powdered sugar and lemon juice with electric mixer on medium speed until smooth and drizzling consistency. 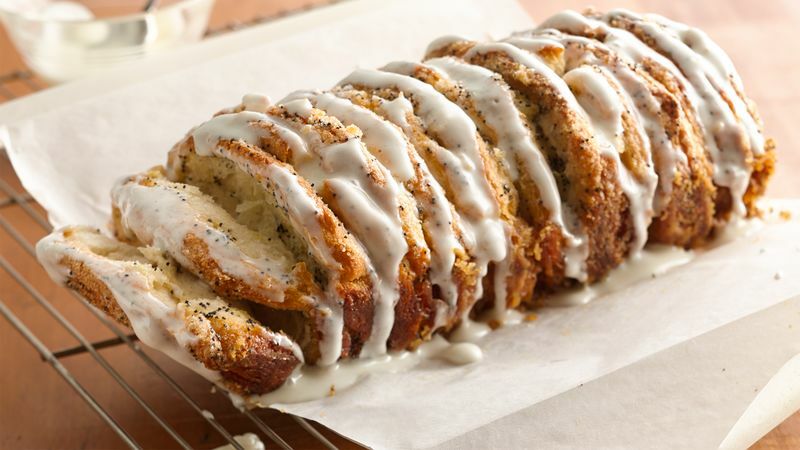 Drizzle glaze over pull-apart bread. Serve warm.